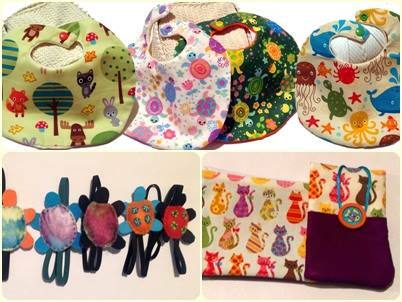 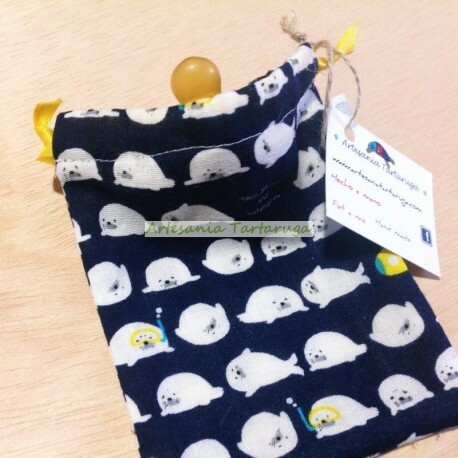 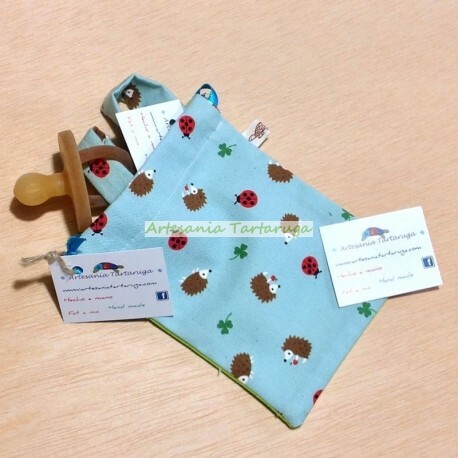 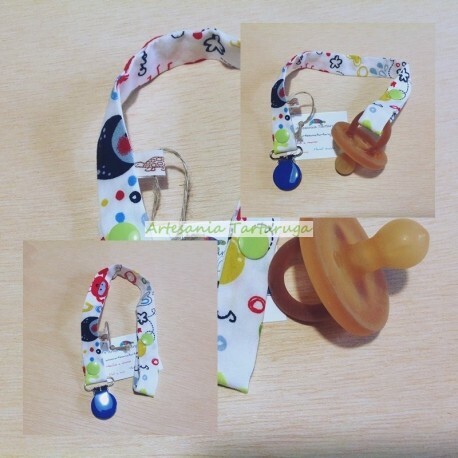 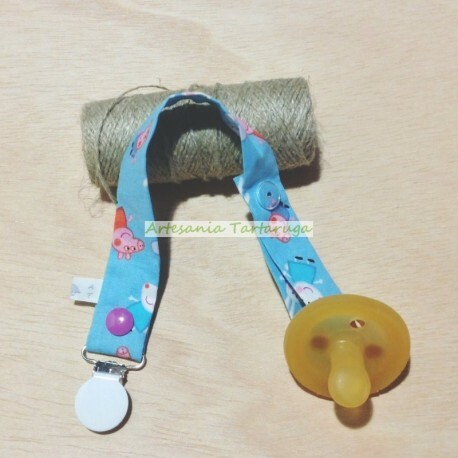 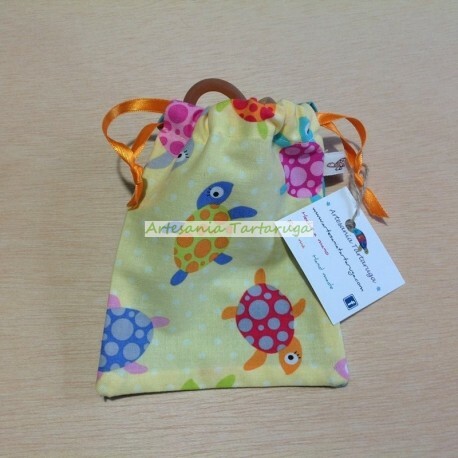 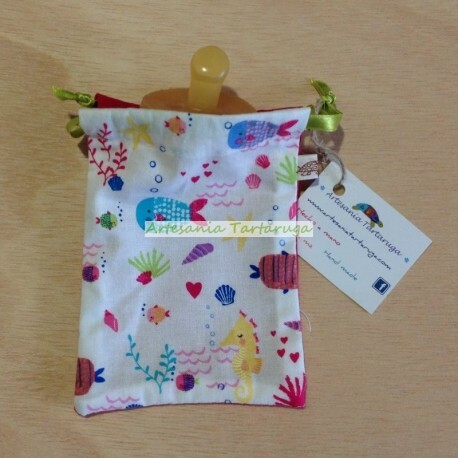 The children pacifier bag is handmade in cotton cloth. 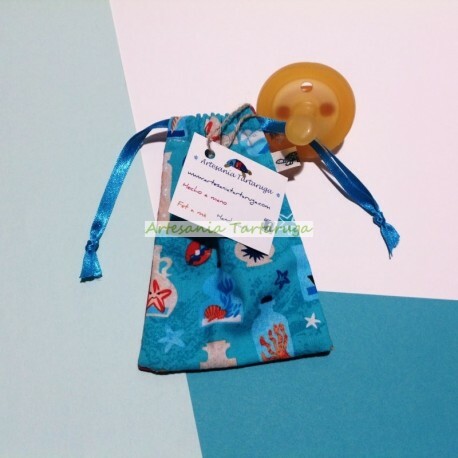 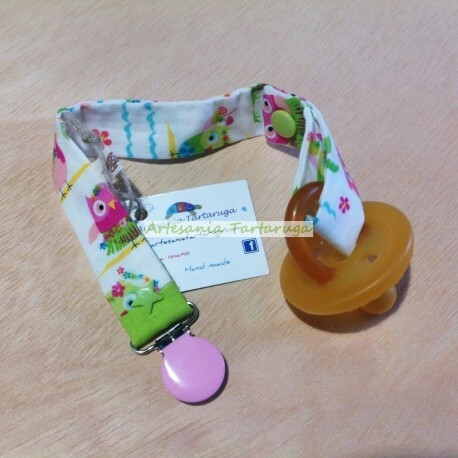 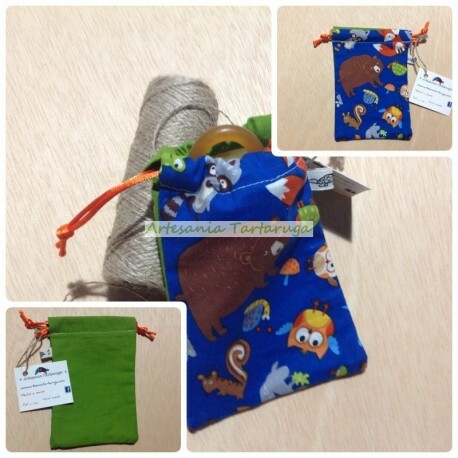 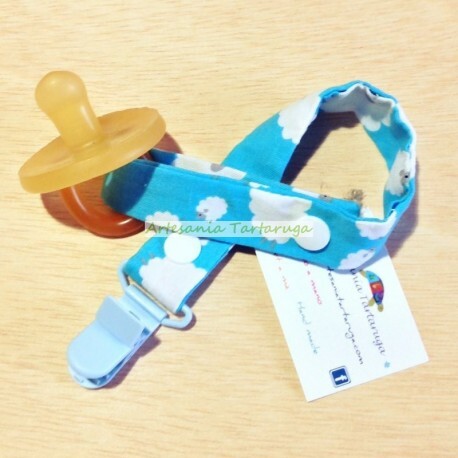 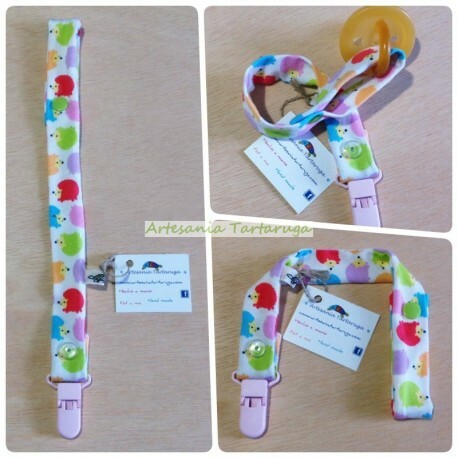 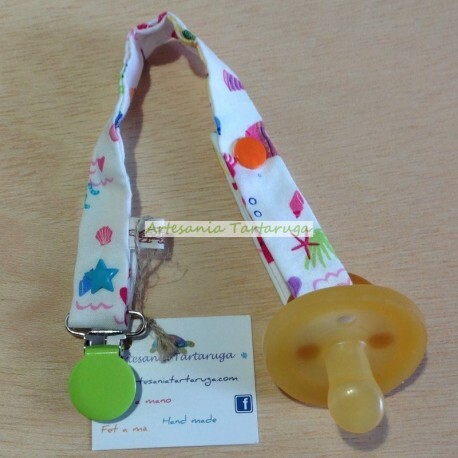 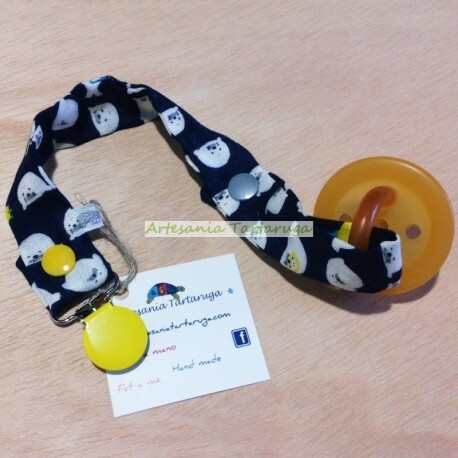 The size of the bag is ideal to carry one or several pacifiers, but later when you no longer need it for this, you can use it to store some toy, a notebook, to carry some cockies, nuts,... of any other anything you can think of. 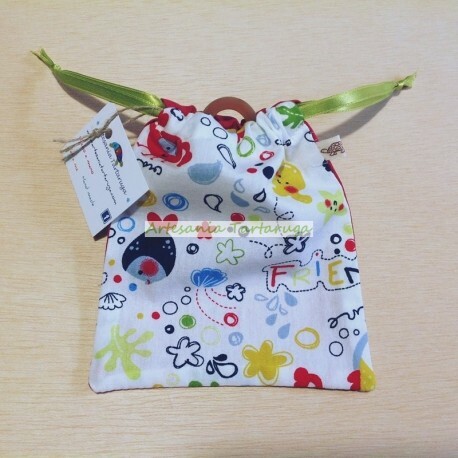 This practical pacifier bag is handmade, with white fabric printed with red and black ladybugs. 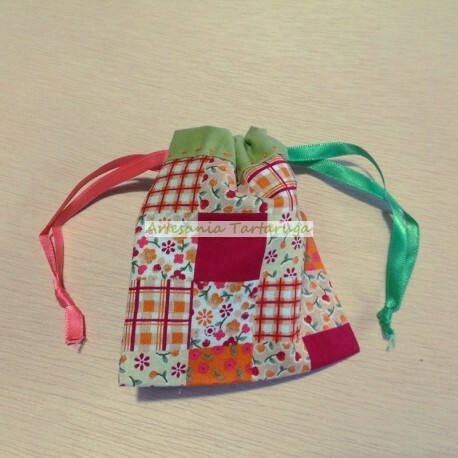 Behind is made of dark green fabric. 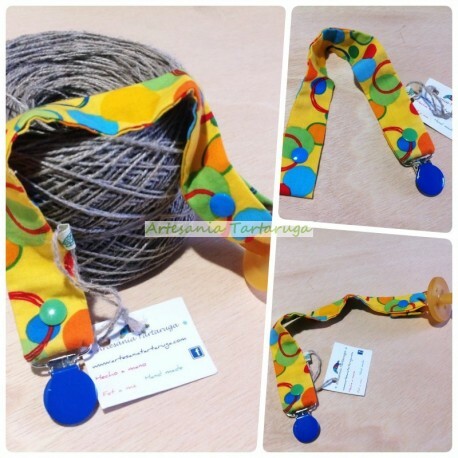 To close or hang a green ribbon. 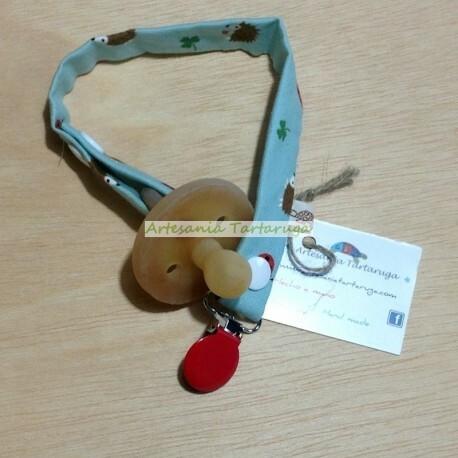 Measures: 9,5 cm. 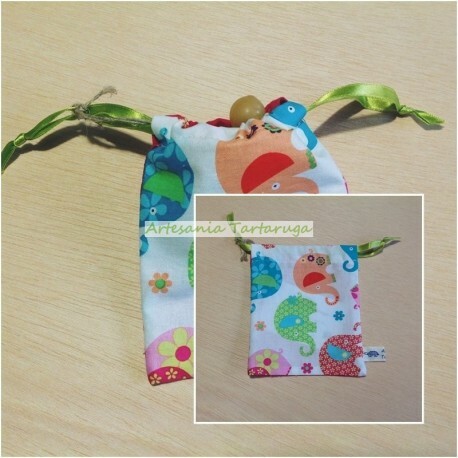 Width x 13,5 cm. 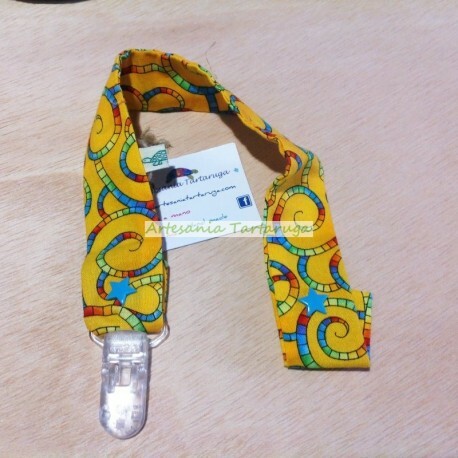 Length approx.